A three alarm fire along West Side Ave in Perth Amboy destroyed at least three homes and damaged a number of more. 688-694 West Side Ave were involved in the early evening fire that forced residents into the street while firefighters from Perth Amboy, Sayreville, Woodbridge and Colonia worked on putting out the blaze. 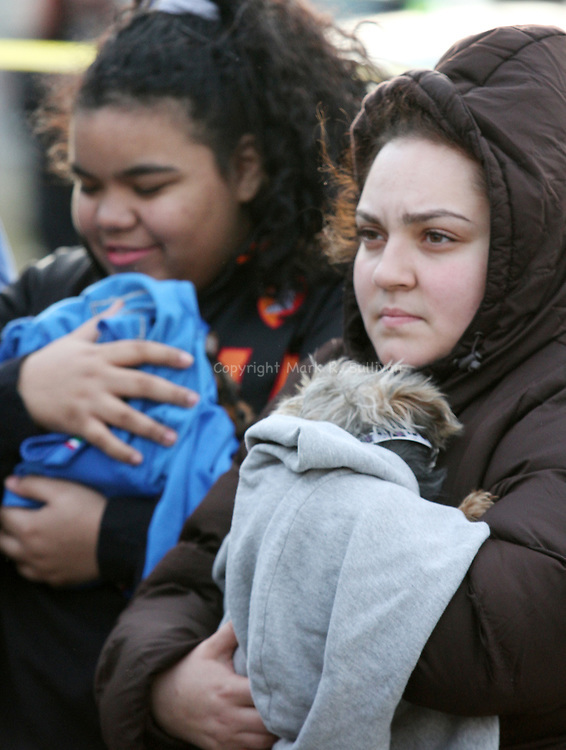 Here Ashley Vega (foreground) holds her aunt's dog "Remy" and Jaileen Rivera hods her dog Bam Bam both dogs were rescued from the fire.